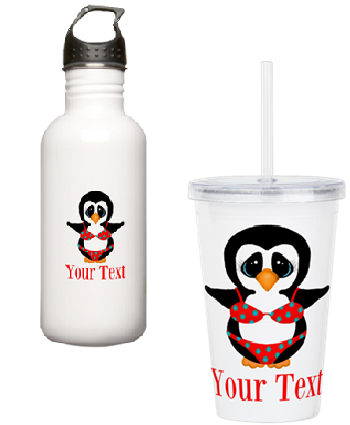 What goes together better than a penguin in a bikini swimsuit? 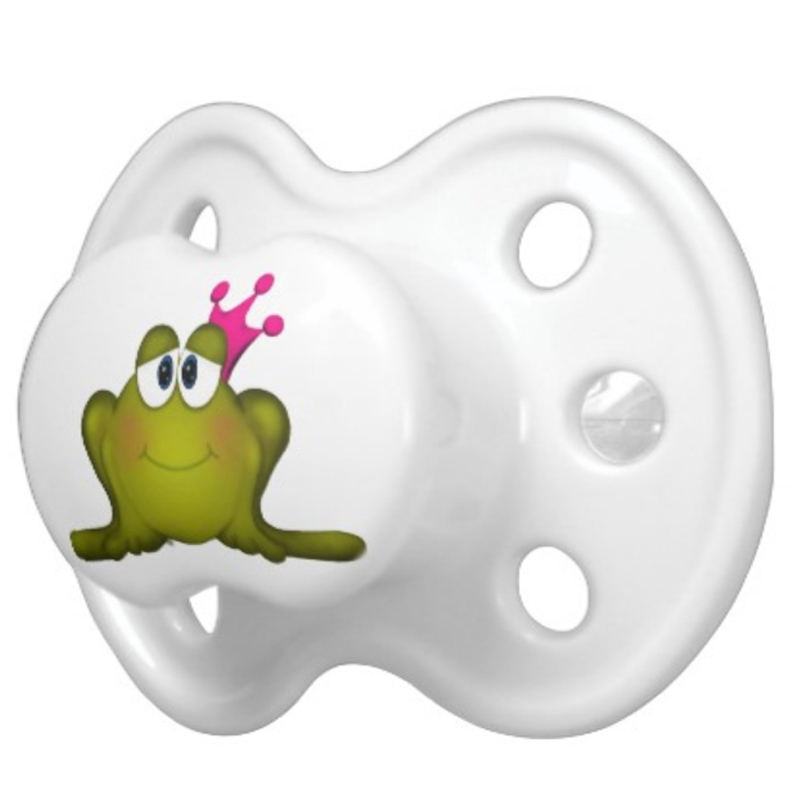 A perfect fit — kind of! Ha! 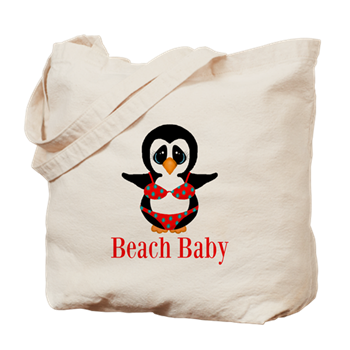 This fun design is available on a ton of products including the cute beach tote bag pictured. 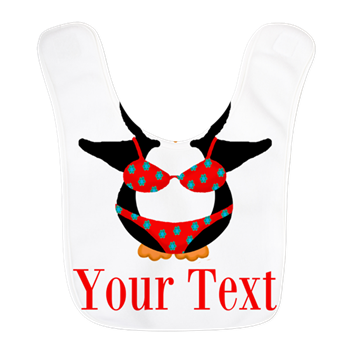 Personalization is available at no extra cost so you can change the words “beach baby” to any name or word phrase you like! You can also delete the text altogether if you prefer. 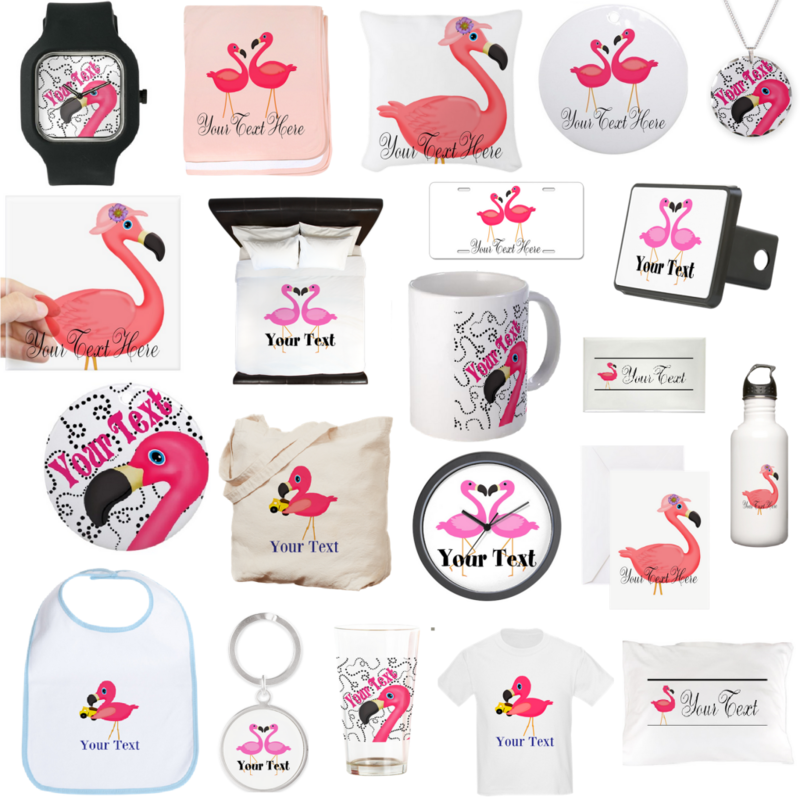 This design is available as a water bottle, coffee mug, double-walled tumbler, and even food storage and travel containers and lunch boxes! Find these and other fun merchandise and gifts featuring this bikini wearing beauty here.